SILT founders Paul Durrenberger and Suzan Erem signed over the deed to their 63 acres just north of Iowa City at a reception attended by county supervisors and staff, SILT advisers and friends at the Iowa City Public Library Oct. 4. They will continue to manage the property under a reserve life estate agreement, but the land itself belongs to SILT. See stories on Iowa Public Radio and in the Iowa City Press-Citizen. Application are Now Closed. Sign up for SILT updates to learn who has been chosen for this opportunity! The venture began as an opportunity for a young farmer to purchase it over 5 years at the price the couple Suzan and Paul paid for it, but when the retired couple went into debt for 143 acres instead of the planned 40 at auction, they and the farmer agreed to protect it for good. 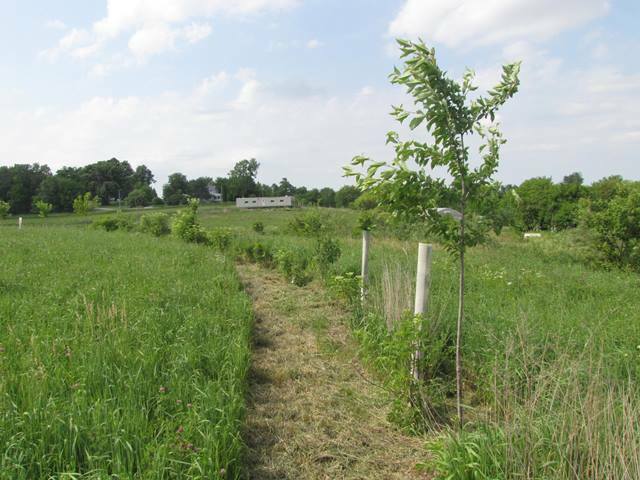 Through nearly 2 years of research, they learned that a land trust focused on sustainable food farms would solve multiple problems and fill an unmet need Iowa. Along with 25 founders, they launched SILT in early 2015. 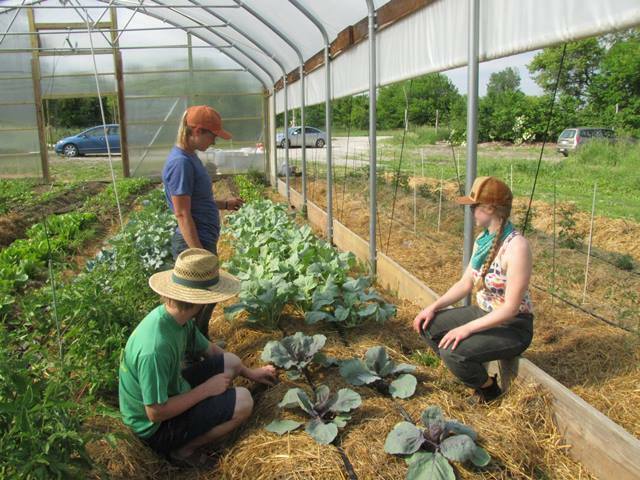 Applicants are encouraged to meet with Carolyn, Ilsa and William, some of the farmers from this summer, to see about partnering in the future. The farm eventually became a source of conflict among the original farmer, the community, the USDA and local elected officials. At the end of the 5-year agreement, the farmer was unable to fulfill his obligation. The couple then sold 80 acres to pay off the debt and donated the rest. The buyer of the 80 plans to place a SILT easement on that land within the year, eventually protecting all 143 acres. Some of the many fruit and nut trees and bushes that need to be culled, pruned and protected to grow into productive food-bearing plants. Under SILT policy, the land itself may be leased for as long as the farmer and heirs choose to farm it. Farmers gain equity in their house, barns and business. Interested in a SILT Farm? Be sure to fill out SILT’s Farm Seeker Survey so we can find you when one becomes available!